There's nothing more down to earth than an Uncle Sid – unless your name's John Smith maybe. One of those friendly relatives with whom you feel comfortably at home. As cosy as well-worn slippers, you know where you stand. It's all in the name – maybe. 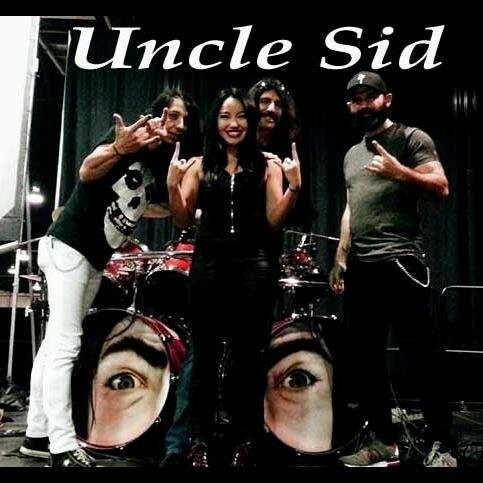 The Canadian version (there's a reasonably obvious clue in the close to Geddy Lee higher register of singer Emerald Green – must be something in the Canadian water) proudly declare "Uncle Sid loves Rock and Roll and playing it live." A further tag line follows a similar minimalistic lack of fuss, if with a slightly cheesy rhyming couplet – "keep Rockin' with Uncle Sid – you'll be glad you did". 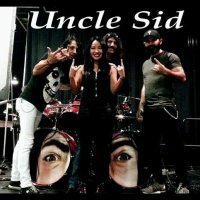 A band whose line-up changes in the past haven't always done them any favours, their self-professed head-banging beats and dynamically composed tunage sees new recruits Green and guitarist Frankie Scars make an immediate impression on the stonking stomp of opener 'Devil With A Halo' before declaring 'Horns Up!' – something that again seems to be another catchphrase to add to a building collection of Uncle Sid-isms. Musically, their brand of Melodic Hard Rock will be instantly familiar for those in tune with the classic Judas Priest, Scorpions, Led Zeppelin, Black Sabbath, Mötley Crüe, old Uncle Tom Cobley and all upbringing. They portray a confidence and bravado that crosses over into their music, with a warrior-like battle cry accompanying the stop-start gallop of 'Let's Go' which also finds them falling occasionally into the clichéd and seeing a slightly derivative trace coming from their influences. Where they do earn their marks is when they not necessarily head into the inventive but the admittedly conventional yet Sleazy grooves of 'The Optimist', where Green moans seductively like one of the old lemon squeezers, and 'The Road' which follows 'Devil...' in a similarly persistent and darkly atmospheric venture. It's a Sabbath-ian rich vein that they mine well and one which reappears later during 'Master Of Fate'. Combined with 'Evilution' (yes, not 'evOlution'), a high powered and energetic four and a half minute Iron Maiden-speed thrill-fest, the album benefits from a strong finish and one on which to build a reputation and encourage some stability.